Read our submission to Executive Committee. Tomorrow, City Council’s executive committee will be considering proposals to strengthen the City’s fair wage policy and ensure health, safety, and fair wages in custodial services contracts. These proposals arose from Councillors’ concerns about contracting out cleaning services at police stations last year. This resulted in secure jobs that paid a living wage turning into precarious jobs that didn’t. 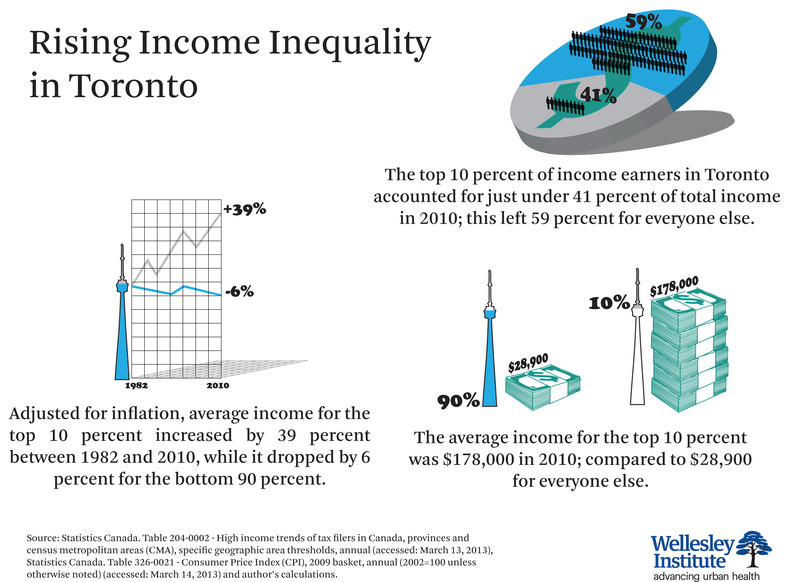 Recent data from Statistics Canada shows that income inequality is rising in Toronto. These data provide a clear, post-recession picture of the growing divide between high-income earners and the rest of the population. The data show the disproportionate share of total income going to the top income earners in Toronto: 41 percent to the top 10 percent of earners. That leaves 59 percent to be shared among the other 90 percent. The top 10 percent, at $178,000, had average income that was 6 times higher than the $28,900 average for the rest of the population. Since 1982 inflation-adjusted average income of the top 10 percent rose by 39 percent, while they fell by 6 percent for everyone else. 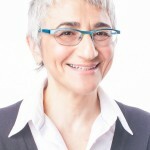 Research from The Three Cities within Toronto shows the impact of this increasing divide: rising neighbourhood segregation by income and racialization of poverty. Recent Canadian research shows us that living in cities with greater income inequality increases the risk of dying for people from all income levels. This increased risk for both men and women ranges from cancer to alcohol-related deaths to transport injuries. This is consistent with international research that demonstrates that inequality has an impact on our health and well-being. In more equal countries people are healthier, live longer, and commit fewer crimes. These relationships hold among all income groups. Even for the highest income segment of the population, people are safer, healthier and live longer when they live in a more equal society. Our city is becoming more polarized. And, it’s being driven, in large part, by the massive loss of good jobs. Attacks on public sector and devaluing public services will only increase this polarization. The proposals going before city council will move us in the right direction toward better jobs and higher standards. They should be supported.